Synopsis- The town of Bundah is dying, with many of its young people fleeing for jobs in the city. A desperate plan to revive Bundah’s fortunes – with generous incentives to attract new businesses – results in a flood of people coming to the town to set up shop. As Bundah begins to come to life with the new arrivals, a spate of teenage drug overdoses starts to divide the locals. Many are convinced the narcotics trade has been brought to town by one of the newcomers. It doesn’t help that the mysterious new owner of one of the local pubs has a dark past. Lucy Parker is a single mother doing her best to support her teenage daughter, Belle, through her last year of high school. It’s long been Belle’s dream to go to university, so when she starts to stray, hanging out with the wrong kids and experimenting with alcohol and possibly drugs, her mother is deeply troubled. The very last thing Lucy needs is for a man like Hugh Thompson to mess with her heart and disrupt her life. However it seems fate has other ideas. A quick recap on the plot; Lucy Parker likes to play it safe, with a long-term reliable job and a clear plan for financially securing her daughter a place at University there’s nothing else on her sights until a leather-clad biker named Hugh Thompson turns up in her small country town. Hugh moves into Bundah and renovates the old abandoned pub in the hopes of creating a stopover destination for weekend (motor) bike riders. There’s instant chemistry between the two, and Hugh’s mysterious past only heightens the attraction. 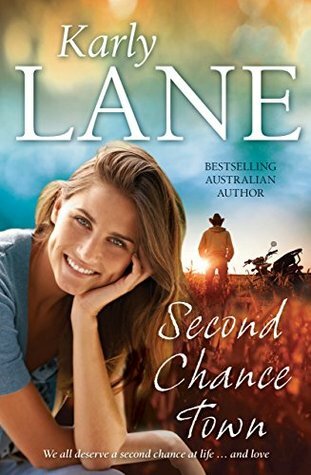 As their romance develops, the town that Lucy has always felt safe in is expanding, there’s new faces and a rising drug problem. An interesting plot, great chemistry and characters, plus the suspense adds to the page-turning element of the story. Highly recommend it!